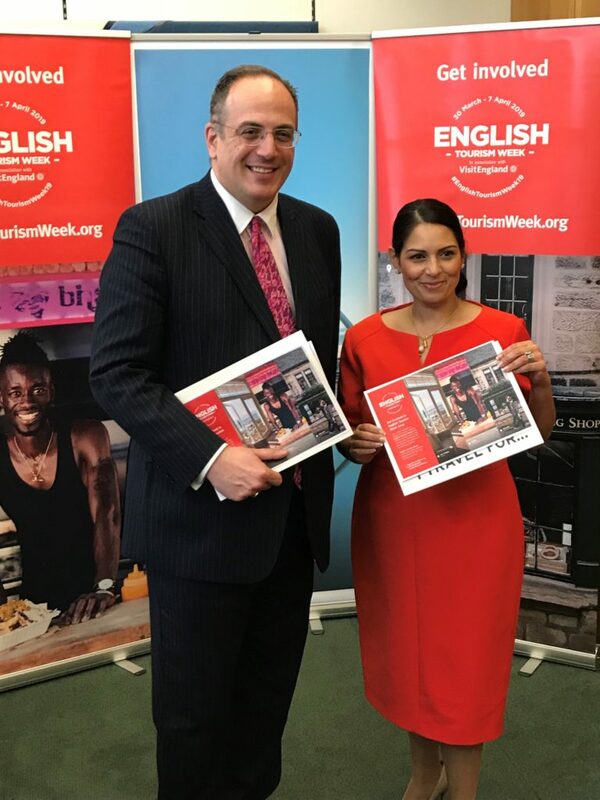 The Witham MP, the Rt Hon Priti Patel, has today (2nd April) joined Michael Ellis MP, the Minister for Arts, Heritage & Tourism at a special event at Westminster to mark English Tourism Week, 30th March – 7th April 2019. This annual event takes place in the Spring and is designed to raise the profile of the industry and celebrate its quality and value. It provides a vehicle to kick start the tourist season. Accommodation providers, attractions, tourist information centres or a destination, as well as related sectors such as hospitality, transport or retail can all participate by submitting events to a special online events platform at visitengland.com. Speaking after the event, Priti Patel said: “I’m a big supporter of tourism venues in my constituency of Witham, not least because we have so much to offer; from Colchester Zoo to the Museum of Power at Langford. The Layer Marney Tower and the world famous Wilkin & Sons are in my constituency as is a wide range of restaurants and bars. The Visit England online events platform is an ideal forum for them to promote their activities and to widen awareness of all the good things that Witham has to offer.